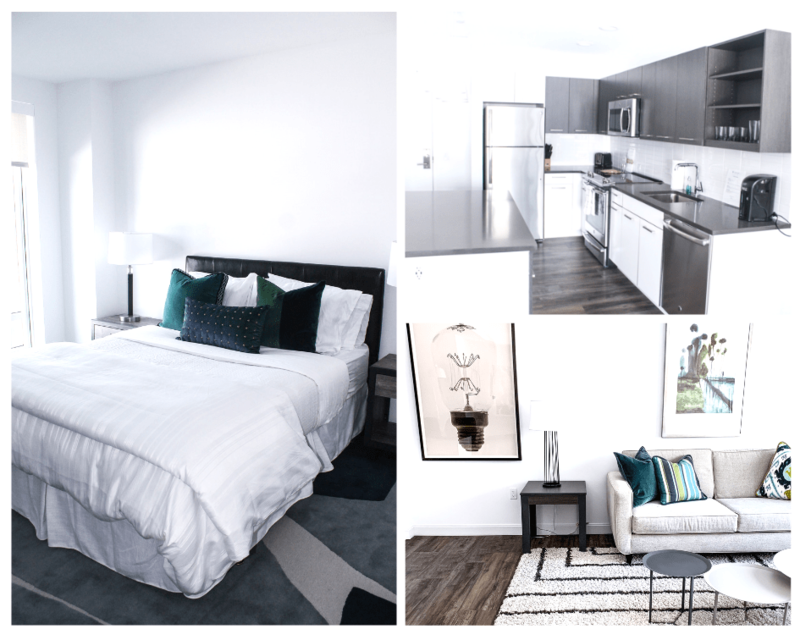 Recently, we had the pleasure to stay at Lantera Boston Landing as their guests on a trip to Boston to experience all the residential apartments have to offer, and today I’m sharing the top five reasons I’d move not only to Boston, but to this neighborhood! Living on Martha’s Vineyard, Boston has become our gateway city. We make pitstops on the regular, but at the same time, we head to Boston to clear our minds and either prepare for an upcoming summer season or decompress after an insane summer season. Either way, it’s a city that delivers everything we love: great restaurants, the best sports teams, and an overall energy we love. We’ve typically stayed at hotels on previous trips, but recently we were guests of Lantera Boston Landing and I’ve got to share my new top five reasons why we want to move to Boston someday. 1. Location, location, location! Like mentioned above, the heart of Boston is less than five miles away and is easily accessible via the Boston Landing commuter rail stop – just a three-minute walk away. We rode the commuter rail into downtown Boston while there, as well as taking it to North Station to catch our train to Salem that weekend. Could not be easier – and as a no-car family, public transportation is essential for our every day life. What was a former stockyard is now a bustling community. Restaurants and coffee shops from local purveyors dot the neighborhood. If fitness is your thing, you have a lot of things to choose from with access to ice skating, state of the art fitness facilities, and a winding bike path. Lantera is also adjacent to the T and Mass Pike and easily accessible from anywhere in the city. No matter what you need to make you feel at home, it’s right around the corner. 2. Food-focused neighborhood. For foodies like us, easy and quick access to delicious food is a must and to start us off with the early mornings, right across the street from the apartments is Kohi Coffee, a locally owned and operated business that serves up not only some incredible coffees, but teas as well as baked goods and one of the best breakfast sandwiches I have ever experienced. Not only is there coffee, but a minute away is Railstop Restaurant & Bar, and the restaurant brings a mix of modern and classic New England cuisine including dry-aged steaks, fresh local seafood, and “comfort food done well” out of their scratch kitchen. We had dinner here and I cannot tell you how delicious it was. Let’s just say their clam chowder was top three in our lives – and my husband and I have taste hundreds of chowders throughout our marriages. Other restaurants in the area: Flatbread Brighton and Bow, Mainely Burgers, and more – plus a Stop & Shop grocery store within walking distance as well. 4. All the amenities! An apartment building that’s not only about the apartments but packed to the brim with incredible amenities (like the Fit Studio seen below!). Seriously, it’s like a hotel, only better. Want to know what are just some of the amenities? Pool deck with cabanas, grilling stations with outdoor dining, fire pits, and bocce court – hello summer; Loft18 rooftop lounge with views of Boston and the Charles River; The Veranda clubroom with demonstration kitchen, bar and gaming area; Fit Studio with on-demand programming, Peloton bikes and yoga room; Top notch concierge services; The Grounds zen garden, perfect for decompressing at the end of a long work day; Pet friendly with indoor/outdoor dog park and pet spa; Tech Bar with flexible work space; Bicycle storage and repair station; and Controlled access parking with electric car charging available. Honestly, what else could you ever need?! 5. The community-driven spaces. 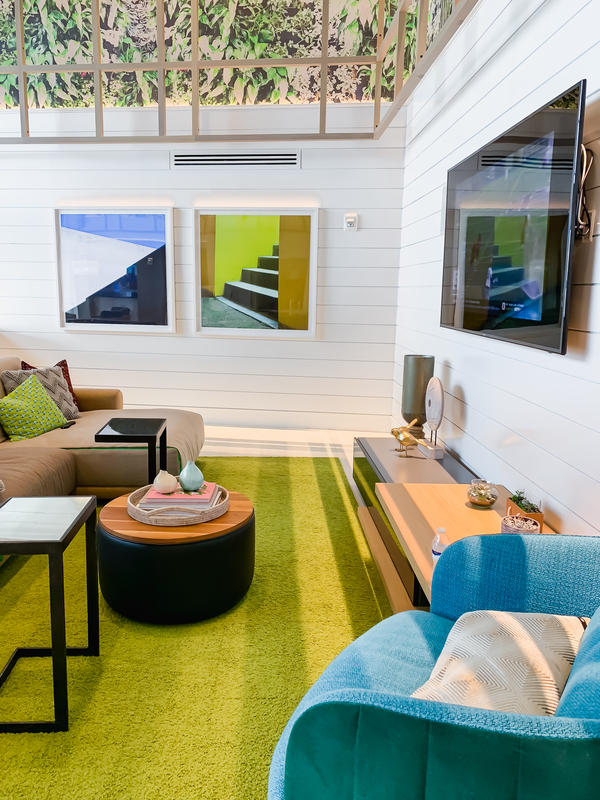 For example, The Veranda clubroom (pictured below) with demonstration kitchen, bar and gaming area. Not only that, but while staying at Lantera, we encountered a few signs in regards to community events, whether it was a succulent making party or a yoga class, it seems that Lantera really focuses on bringing together their community in a variety of creative ways. Not only in person, but their Instagram game is strong and they are constantly sharing new fun contests on social media! If you’re single and/or new to the city, moving into Lantera won’t only give you a place to live, but you’ll mostly likely connect and meet new friends all at the same time. 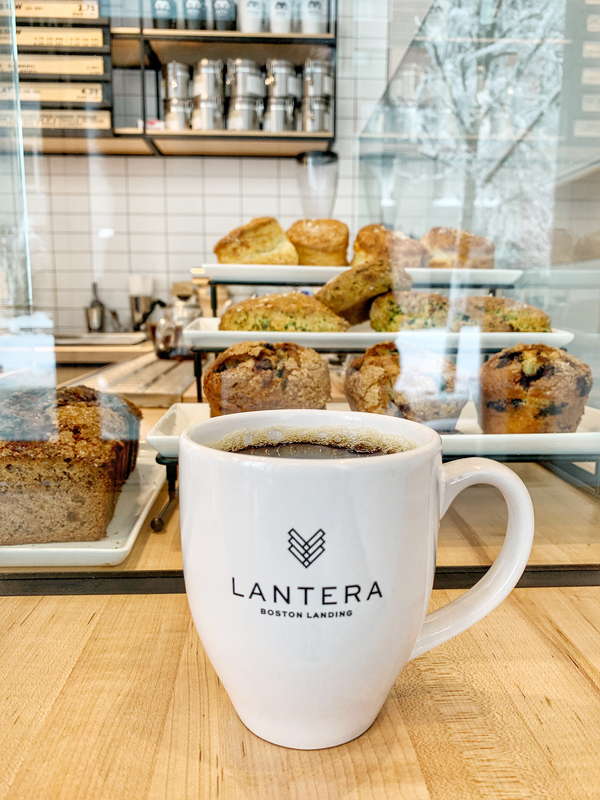 Disclaimer: We were guests of Lantera Boston Landing, but as always, opinions are 100% my own (with some input from my traveling partner and husband). We only recommend things we truly love! p.s. We also really want to live in Boston someday, so this is just putting it out to the Universe.